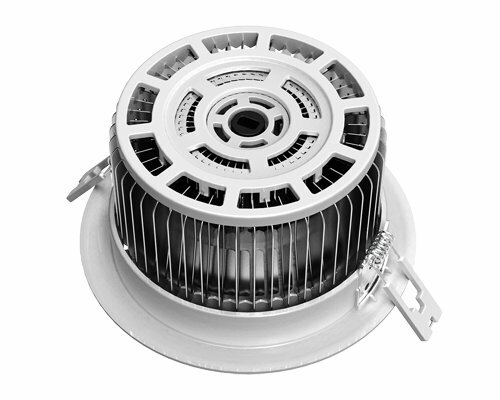 RGBW recessed LED Downlight with 12 Watt real warm white (2700K)Samsung LED's. 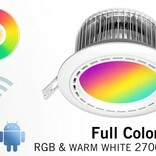 Color your evenings with RGB colored LED's or use the cosy but bright warm white. All in one: Dim, Color, Warm White and no extra adapter needed. 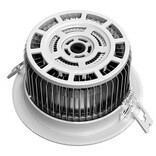 A LED downlight, nowhere else to be found! 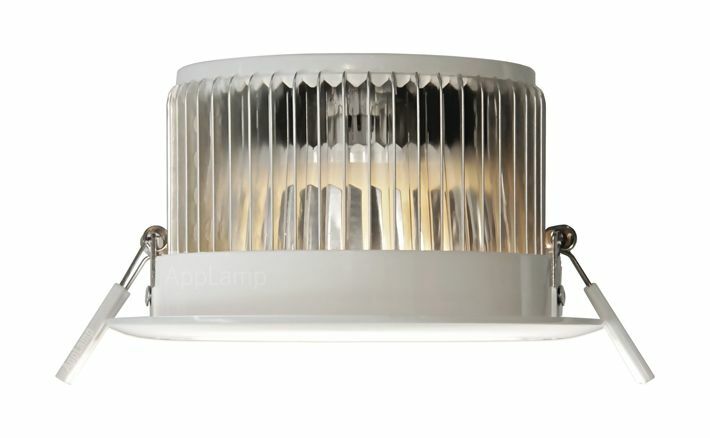 An innovative 12 Watt dimmable RGB color + warm white LED luminary you can control wirelessly. Choose a nice saturated color from the RGB pallet while watching a movie, or enjoy the brigh warm white at the dinner table (extra dedicated Samsung LED's with 2700K warm white). 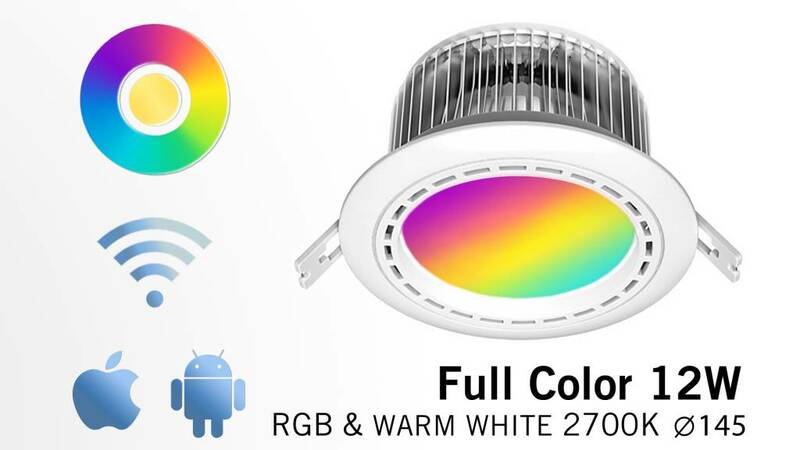 You save immediately with the purchase of this multifunctional wireless LED downlight: With conventional (LED) downlights you always need an extra power-adapter, while with this downlight it is included in the receiver that is pre-attached to the downlight. 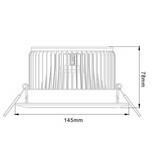 Easy installation: Just attach 2 main current wires, link the remote or APP and mount the light! 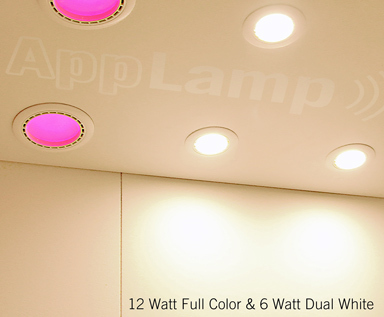 Control lthe downlight with an optional 4-channel Color Touch Remote or with the optional Wifi Box with App for smartpone and tablet. 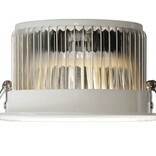 The downlight always switches ON if used in conjunction with a wall switch. It will always remember it's last collor and dim-state! 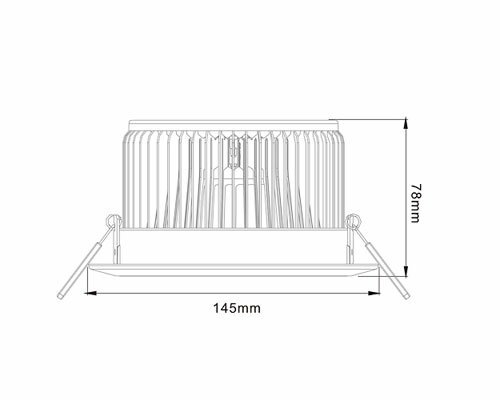 The outer visible ring has a diameter of 145mm.